In this episode Chris Kim and Lisa thank the class participants that joined Mystic Access for the free teleclasses that took place during summer convention season. They tease upcoming tutorials and teleclasses. 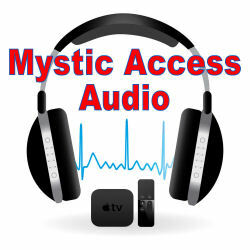 Kim announces the availability of the latest Mystic Access audio tutorial on the Apple TV. The introductory price ends on August 1st 2017. They next talk about the Stascom Utility Suite for Windows. Each of them talk about their favorite features. Chris takes us through the utility Suite. Finally Chris talks about and demonstrates the differences between the Ring Video doorbell. and Skybell HD. He talks about the Skybell podcast episode Mystic Access released on July 25, 2016.